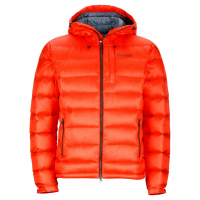 Marmot stuffs the core of the men's Alpha Pro Jacket with state-of-the-art Polartec Alpha active insulation and builds the sleeves and side panels with stretchy, wicking Polartec synthetic fabrics. 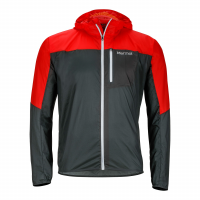 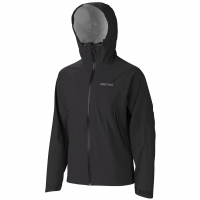 The result of this hybrid construction is incredible warmth and the functional mobility of a softshell. 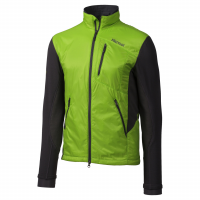 A moisture-wicking DriClime lined chin guard, Angel-Wing Movement and zippered pockets polish off the details.